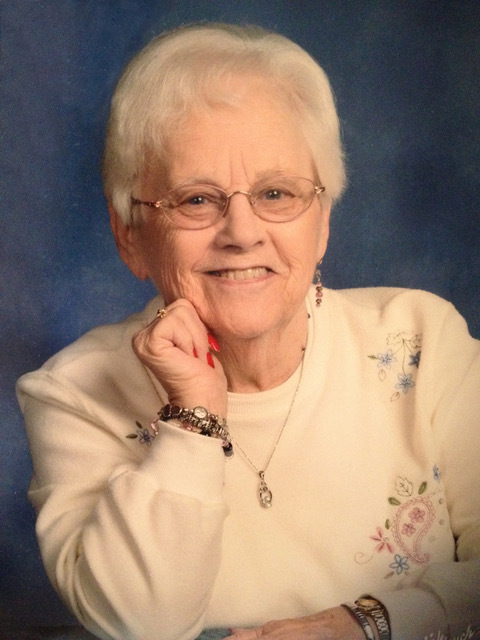 Obituary for Lois LaVerne (Blasdel) Wood | Loftus-McManus Funeral Homes Inc.
Lois LaVerne Wood, 87, long time resident of Metropolis, IL, passed away in Pacific, MO on Saturday, December 1, 2018. Funeral services will be held at 10 am on Saturday, December 8, 2018 at Aikins-Farmer-Loftus-McManus Funeral Home with Dr. Joe Buchanan officiating. Burial will follow in the Ohio Chapel Cemetery. She was born in Grand Chain, IL on December 7, 1930 to the late Raymond Blasdel and the late Mabel Celeste (Badgley) Blasdel. She was united in marriage to the late James E. Wood on June 1, 1952. Lois was a positive spirit with a "can do" attitude, and she never met a stranger. She was a lifetime member of Beta Sigma Phi women's sorority, a member of First Baptist Church in Metropolis, an accomplished seamstress and quilter, and a regular volunteer at the National Quilt Museum in Paducah, KY. In addition to her parents and husband, she is preceded in death by her two brothers, Ray and Max Blasdel, and sister-in-law, Louise (Mathis) Blasdel. She is survived by daughters, Susan (James) Ferrugia, Joan (Franklin) Anderson; sons, Bradley (Sarah) Wood and Rodney (Carol) Wood; eleven grandchildren and four great grandchildren. Visitation will be held on Friday evening December 7, 2018 from 6 pm to 8 pm at the Aikins-Farmer-Loftus-McManus Funeral Home. The family would like to express its appreciation to the management and staff of the Pacific Care Center for their tender care of our mother.